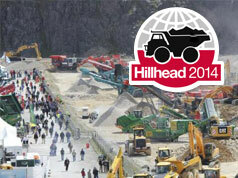 Datatag ID Limited has announced that it will be exhibiting at Hillhead for the first time in 2014. Datatag is a leader in security marking technology and managing complex registration processes. Datatag supplies a wide range of self-fit security systems to the domestic market and manages 3 ‘industry-wide’ schemes for construction and agricultural equipment, motorcycles, scooters and mopeds, and personal water craft and jet-skis. The official CESAR equipment security and registration scheme, owned by the Construction Equipment Association, is the most successful scheme of its type anywhere in the world. Leading manufacturers including CAT, through dealer Finning, JCB, Manitou, Kubota, Doosan and Belle fit CESAR as standard on machines sold in the UK. CESAR has seen sustained growth since its launch in 2007 and there are now over 130,000 pieces of equipment protected and registered on the scheme. The Datatag supplied CESAR security system works by giving each piece of equipment a unique and permanent ‘fingerprint’ using a mix of state of the art security marking technology that includes tamper evident triangular registrations plates, Radio-frequency identification (RFID) transponders, forensic liquid DNA and microscopic Datadots®. CESAR is a proven deterrent against theft and an invaluable aid in recovery. CESAR registered machines are 4 times less likely to be stolen and 6 times more likely to be recovered than unregistered machines. October 2013 saw the launch of the new CESAR and Datatag provenance check. Launched in conjunction with HPI, the pioneer and leader in vehicle history checks, this on-line service will provide a new level of assurance whenever a used construction or agricultural machine is bought or sold. 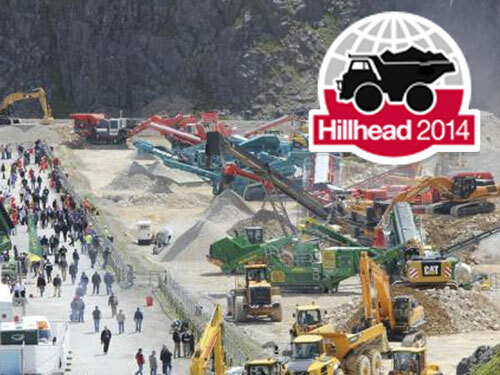 The Datatag and CESAR stand will be located on the quarry floor near the working demonstration.